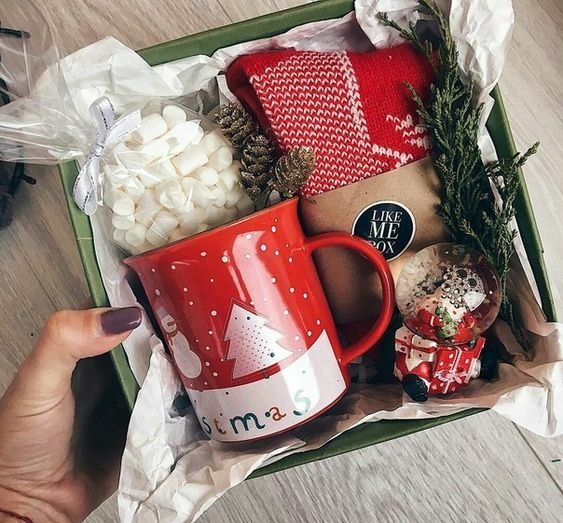 Christmas can be an extremely expensive gifting holiday if you have a lot of people you want to give gifts to, or if you just don’t have a lot of money to spend. D.I.Y. gifts are always the cutest gifts to give because it shows you care and put some time and effort into it. Below I am going to list some tested and approved, perfect last minute gifting ideas for the special people in your life! *Disclaimer: I do not make commission off the links below. 1. Using the tape, create a pattern on the mug. Be sure the tape is as flat as possible so paint doesn’t leak through. 2. Once you have the pattern you want, cover the top of the mug with aluminum foil or plastic wrap to protect any areas you don’t want paint on. 3. Spray the spray paint on the mug. Be sure to hold it about 12-14” away from the mug so it doesn’t drip or have bubbles. This will also help achieve a more even coverage! 4. Let the paint dry for about 5 minutes, and then spray the clear sealer over top. *This mug is not dishwasher safe, and the paint will likely begin to chip after a few washes if it’s put in the dishwasher. Best if washed by hand!! This one is so, so easy to make and you most likely have the supplies in your house already! There’s 2 different body scrubs for this one! I LOVE these!! 1/2 cup of the oil you chose – I used coconut oil, it is easier to combine when it is slightly melted! 2. Add the mixture to your jar and that’s it!! Told you it was super easy!! *This scrub does not contain any preservatives, shelf life is 1-2 months. 2. Add the mixture to your jar, and you’re done!! Some type of jar to put your candle in. You can use an old candle jar you have already! To get the old wax out boil water and place the jar into the water – do not get water into the jar. The water will heat the wax so you can easily clean it out. Don’t pour the wax down the sink – it will ruin your drain pipes! Using a paper towel is easiest. If you do have an old candle jar, get a mason jar with the size you would like the candle to be. Here’s some from Target: 12 – 8 oz. Mason Jars , 12 – 16 oz. Mason Jars , 12 – 4 oz. Mason Jars , You can also go to a hardware store and they usually have packs of them ranging from 4-12 jars. I purchased a set of 4 – 8 oz. jam Mason Jars from my local hardware store for $4.99. Soy Wax – this can be found at any craft stores in various amounts. Essential Oils – I picked lavender oil up from Marshall’s for $4.99. I recommend you check out reviews of some oils before purchasing! Amazon has a large selection. 1. Use the double boiler method to melt your wax. Double boiler method: Fill a pot with a few inches water and let the water come to a boil. Place a bowl filled with wax on top of the pot. Make sure the bowl sits on top of the pan before trying this so the bowl doesn’t fall into the pot! The heat from the water will melt the wax in the bowl. Do not let water get into the wax. 3. Once the wax has completely melted, add in the essential oil you chose. A few drops should be fine, but if the smell isn’t where you want it add more until you reach the desired smell strength. 4. Grab a piece of newspaper or plastic wrap and lay it under the jar you are pouring the wax into to protect your work surface from getting any wax on it. 5. Slightly warm the glass using a hair dryer. Let the wax cool a little bit to about 130-140 degrees Fahrenheit. When I made my candle, I let it cool for about 7 minutes. You do not want to let it dry or re-harden at all. 6. Carefully pour the cooled wax into the jar, until the wax is at the neck of the jar. Do not pour past this! It’s fine if you pour some of the wax onto the pencil or clothes pins, just be careful to not pour any on the top of the wick because it won’t light the first few tries since it’s coated in wax. 7. Let the candle cool for a minimum of 12 hours. Once the candle has cooled completely, trim the wick, leaving about 1/4″ to light. It is not recommended to go any shorter than this. If your candle isn’t flat on the top you can use a hair dryer on the lowest heat setting to warm it and flatten it. 8. Optional: Decorate the container with a label or writing! You can label the scent or write “To: ___”, etc. It also looks super cute if you add some glittery/festive ribbons around the jar! *Recommendations: Use a glass bowl to melt the wax in. When you pour the wax into the bowl, use a rubber spatula to get any excess wax out. This will make the clean up process much easier. Use a hair dryer to melt wax that dried on your tools. Clean your supplies/tools thoroughly if you use them to eat out of. Once again, do not pour any wax down your drain! I put the excess wax into a plastic grocery bag and threw out the scraps. You can reuse the wax if you have enough left over. This is my favorite one! I think this looks so adorable, and it’s a gift that will last awhile and grow. 1. Buy a small succulent or plant from your local plant store/garden center. I know Walmart also usually has a ton of mini succulents! You could use a fake plant if you’d prefer. 2. Buy a cute planter to transfer your succulent into. Make sure it will fit the succulent. You can get these anywhere: Target, Walmart, Marshall’s, or you can buy a plain planter and paint or decorate it however you want. 3. Once the plant is transferred to your planter, write a cute note on the card stock. My favorite note that I’ve seen is: “Thanks for helping me grow.” The best part about this is that you can customize your note to say whatever you want. Make sure that the note size looks appropriate in relation to the planter size. 4. Punch a small hole into the note and use the twine or ribbon you chose to wrap it around the planter. That’s it! *Recommendation: If you’d refer to print a template out, you can google “thanks for helping me grow template,” and a punch of links will pop up! 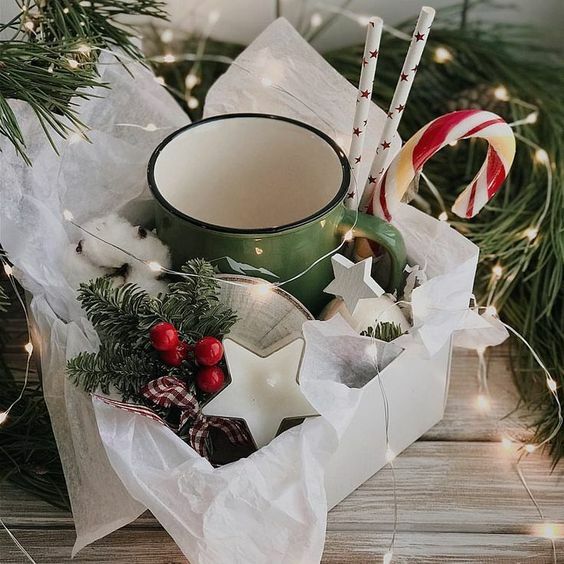 This one isn’t exactly a D.I.Y., but it gives you a few ideas of how to decorate/gift your goodies instead of just putting them into a boring bag. You can also get a reusable box from a craft store so the person you give this to can use it as storage or however they wish! 1. 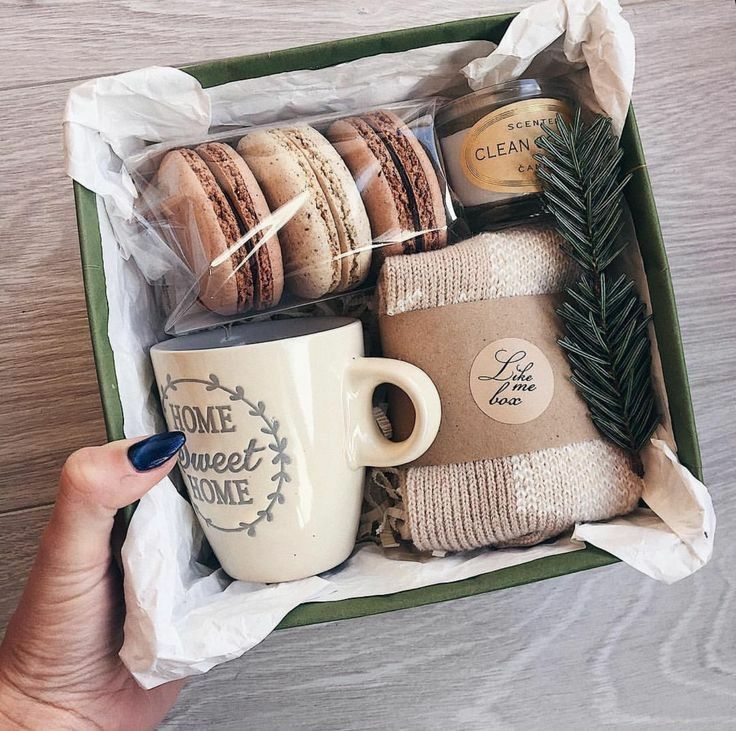 Basically, for this one you just want to personalize your gift box. You already have all the gifts you purchased for your person, and now it’s time to box them! You can add some fun tissue paper or crinkle cut paper, fake plants to lay across, candles, etc. Socks – who doesn’t love fuzzy socks? *For these photos I couldn’t find a picture credit, but I found them on Pinterest.